Flagship Mozzarella is firm to cut with a mild creamy texture. 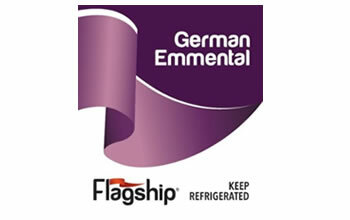 Flagship German Emmental has a sweet nutty flavour. 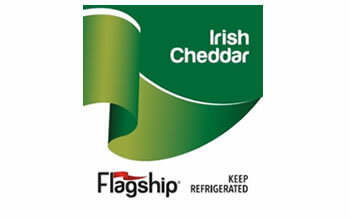 Flagship Irish Yellow Cheddar has a mildly sweet aromatic flavour. Flagship Irish White Cheddar has a mildly sweet aromatic flavour. Flagship Dutch Gouda has a mild, slightly sweet taste and is easy to slice. 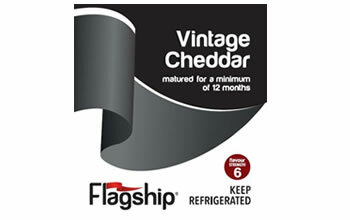 A mildly nutty, sweet flavoured vintage cheddar matured for a minimum of 12 Months with a slightly crunchy texture. 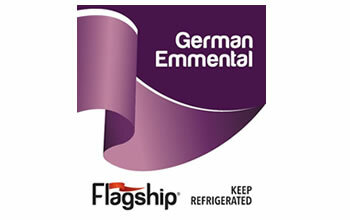 Flagship German Emmental slices has a sweet nutty flavour. Flagship Mozzarella slices is firm to cut with a mild creamy texture. Flagship Irish White Cheddar slices has a mildly sweet aromatic flavour. Flagship Irish Yellow Cheddar slices has a mildly sweet aromatic flavour. Flagship Dutch Gouda slices has a mild, slightly sweet taste.